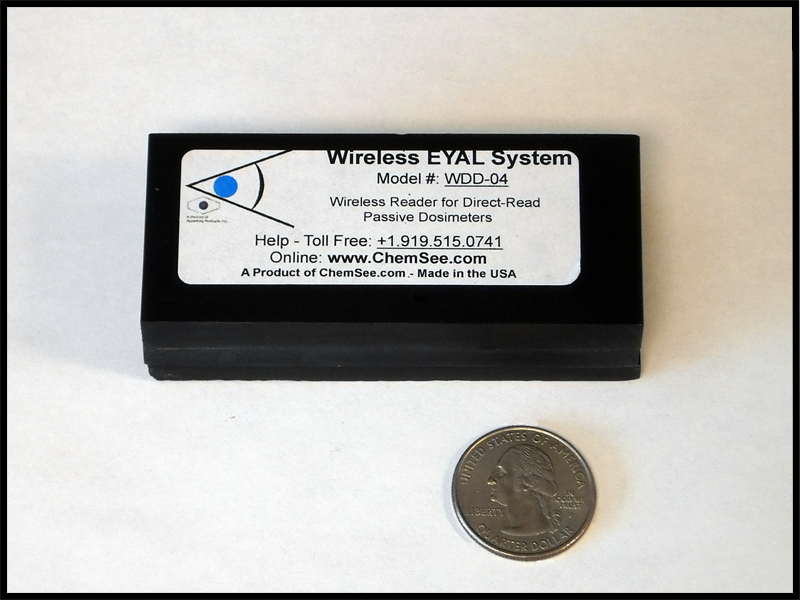 The EYAL Wireless Monitoring System is an instant, versatile, remote and real-time monitoring system for exposure of personnel, vehicles and static locations to toxic gases and radiation. The System allows for instant, quantitative determination of exposure levels of multiple, remote sensing elements. 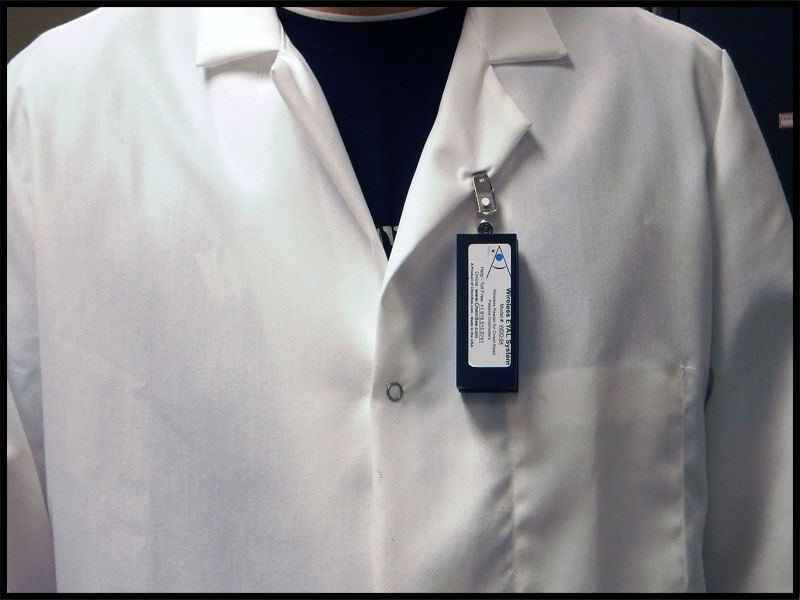 The sensing elements continually transmit data, even while in motion, and can be switched easily to detect different gases by replacing the dosimeter card inside. The EYAL system consists of multiple Sensors which continually transmit the exposure dose and the concentration of toxic gas around the Sensor to a Central Command for coordinated monitoring and response. Wireless Quantitative Reader for ChemSee Dosimeters. Comes with Digital LCD Readout of Exposure Levels for Employees. Also transmits wirelessly to a Central Recieving Unit which outputs the exposure dose on a nearby computer. 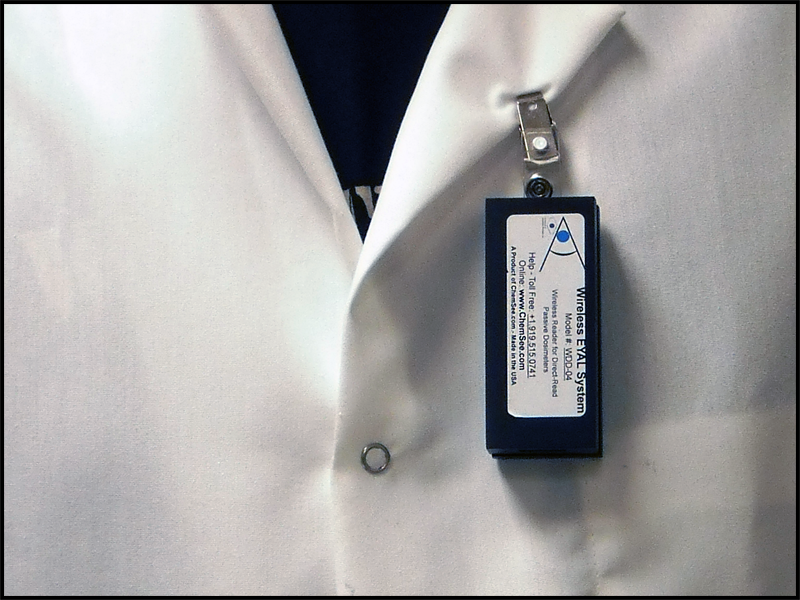 Wireless Quantitative Reader for ChemSee Dosimeters. Transmits wirelessly to a Central Recieving Unit which outputs the exposure dose on a nearby computer.